Australians have been sold the idea that our primary school teachers today have poor literacy standards, not only by popular media but often by politicians and sometimes even by the universities that train our teachers. So how true is it? What evidence is there to support these claims? My colleagues* and I decided to find out. This blog post is a report on our ongoing research. We haven’t finished yet. Our starting point is a survey of what the profession itself thinks (if you are a primary school teacher you might like to join in). We made a few surprising discoveries just to get to this point. As Professor Bill Louden pointed out a few years and a few reports ago, there have been over 100 reports on teacher education in the last 40 years. As a direct result literacy and numeracy testing of preservice teachers ( student teachers) is being rolled out across Australia. We are particularly interested in the construction of preservice and graduate teachers as lacking in literacy capabilities. It is not surprising that these comments are not supported with evidence. What we did find surprising is how little evidence has been used to support recommendations in government reports. We examined academic papers and research reports, government reports and submissions to inquiries, and media commentary. So let’s go back to that report. The data quoted as evidence are provided through a description of “issues raised” in focus group discussions by participants. The literacy competency of student teachers was raised as an issue in all focus group discussions. Participants reported that many pre-service teachers lacked the literacy skills required to be effective teachers of reading. Surely the evidence provided was not just a group of teachers complaining about the quality of pre-service teachers? Well not entirely. The report also drew on other reports, as well as some small scale studies involving the testing of pre-service teachers’ knowledge of aspects of language use. One of these sources that is often cited is the Australian Government Report Prepared to Teach. Yet the lead author of this report, one William Louden, also argued there is a need to investigate the different factors influencing the quality of our preservice teachers. So after following the trail back to here, we decided to take up Louden’s suggestion and look closely at the different areas discussed around the literacy standards of primary school teachers. We believe that the factors that influence the quality of pre-service and graduate teachers can be grouped together into four dimensions. The first dimension relates to the personal literacy capabilities of preservice teachers. Can preservice teachers spell? Can they write? Is it true that “Graduating pre-service teachers’ levels of personal literacy should be equivalent to the top 30 per cent of the population”? The second dimension relates to preservice and graduate teachers’ knowledge of the English curriculum. They don’t know enough about literature, they don’t know how to assess writing, they don’t know what to include and exclude from their classroom teaching. Hence the increase in packages and programs such as Soundwaves a spelling program that proudly claims, “you don’t need to be a phonemic expert”. The third dimension relates to preservice and graduate teachers ability to teach, or their pedagogical knowledge about English and literacy. That is, if you don’t know how to teach spelling you can’t teach literacy; teachers who write are good teachers of literacy; teachers who use digital texts such as blogs and websites themselves are experts at using these in classrooms. There are also arguments in the literature about explicit teaching, direct instruction, inquiry based learning, whole language approaches, systemic phonics instruction, etc etc. A fourth dimension is initial teacher education program’s impact on the above dimensions. So how does the standard of entry to teacher education program impact on graduate teachers’ personal literacy abilities? Does the mode of delivery of teacher education (four year, graduate entry etc) have an impact on graduate teachers’ ability to teach literacy? How does the length and type of professional experience (school based, intense internships) influence preservice teachers’ knowledge of the curriculum? The content of initial teacher education programs is often hotly disputed as well. Do we teach phonemic awareness? Is there enough practice or too much theory? Who are the best people to teach initial teacher education? Teachers? Researchers? We have used these four dimensions to construct a survey of members of the teaching profession across Australia. We aim in this survey to answer the following research question, What are the expectations of the profession about the literacy capabilities of graduate teachers required to deliver high quality, intellectually demanding literacy education? We envisage the results will provide some empirical data that can replace the anecdotes embedded in current storylines about the capabilities of preservice and graduate teachers. After this survey our next step will be to discover what primary preservice teachers understand about their own personal literacy skills and their perceptions of their own abilities to teach literacy. 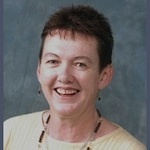 Dr Eileen Honan is a Senior Lecturer in Literacy and English Education at The University of Queensland. Of course you have heard the argument that teachers do not teach phonics any more and worse, that many early career teachers do not even know how to teach phonics. So as a teacher of preservice teachers I will start by telling you for at least the past 15 years there has been overwhelming advice from probably hundreds of research projects and inquiries that a comprehensive approach to the teaching of reading should be taken. Rest assured this approach very emphatically includes the explicit teaching of phonics. However phonics are just part of the picture. that teachers provide systematic, direct and explicit phonics instruction so that children master the essential alphabetic code-breaking skills required for foundational reading proficiency. Equally, that teachers provide an integrated approach to reading that supports the development of oral language, vocabulary, grammar, reading fluency, comprehension and the literacies of new technologies. While the evidence indicates that some teaching strategies are more effective than others, no one approach of itself can address the complex nature of reading difficulties. An integrated approach requires that teachers have a thorough understanding of a range of effective strategies, as well as knowing when and why to apply them. Our teaching of literacy education to preservice teachers across Australia is based on this approach. to write persuasive texts, and narratives, as required by NAPLAN. to understand the grammatical structures of our language. to read between the lines so they can infer and interpret hidden meanings in texts. In the classrooms where we teach Australia’s future teachers we don’t waste time on such nonsense. Instead we spend our time teaching our preservice teachers to teach a range of students using a range of strategies that will work in today’s complex and demanding world. We teach them about critical literacy, the use of new technologies in literacy classrooms, the importance of grammar, the use of literature, multiple literacies and multimodality, and the importance of teachers doing classroom based research. Teachers today must be able to cope with a diverse range of abilities and experiences. Some are newly arrived in Australia. Not only do they not speak English, their parents have limited English, and they have spent so much time in refugee camps they cannot read and write in their own languages either. It is our job to provide teachers with the skills, knowledge and understanding to develop lessons that help all these children learn to read. This is not simple work, and cannot be achieved through a ‘magic bullet’ approach. Though many commercial ‘synthetic phonics’ programs (programs that offer a set way to teach phonics) promise exactly that these days. They are sold as quick fixes to teaching children to read. But mostly they ignore issues related to catering for a wide range of student abilities in one class and are often written by people who have never worked as trained teachers. I promise you we don’t encourage our nation’s future teachers to grab a program off the shelf in the hope it will work for them. We teach our preservice teachers the elements of ‘systematic, direct and explicit phonics instruction’, but we refuse to endorse, promote or market commercial programs. That said, many advocates of ‘synthetic phonics’ have links to particular programs that are sold to schools, teachers, and parents. For example, Dr Norman Swan often reports on problems with current approaches to literacy education in his health report forum on the ABC. He also endorses programs such as Phonica. One of the authors of a recent article in The Conversation pushing a synthetic phonics approach is also the developer of materials called spelfabet that she sells to teachers and parents to support this approach. This association was acknowledged by the publisher. We do this not only because we ourselves are passionately committed to high quality research, but because government accreditation processes for teacher education courses demand it of us. Put simply if we presented ideas packaged in a commercial program as the “right” way to teach reading our courses would not be ( and should not be) accredited as providing quality teacher education. Standards and Procedures reflect high expectations of initial teacher education. The stakeholders are united in their belief that the teaching profession and the Australian community deserve nothing less. There is an expectation that those entering teaching will be a diverse group of highly literate and numerate individuals with a professional platform from which to develop as high quality teachers. Our high expectations of the teaching profession stop us from selling commercial programs, or teaching teachers to believe there is one “right” way to teach reading. We believe our children deserve much more. Acknowledgement – The ideas in this paper were produced in consultation and discussion with members of the Literacy Educators Coalition. For further information about this group please go to their website at http://www.literacyeducators.com.au/. If we follow the recommendations of the recently released national curriculum review for teaching English we will all soon be pretending we live in 1955. Back then employment was at its peak. There were no unemployed. The White Australia Policy was still operating, and in schools children were learning how to read through working through books like the Queensland Readers. One of the two ‘subject area specialists’ appointed to provide expert advice to the reviewers is Professor Barry Spurr who holds a personal chair in Poetry and Poetics at The University of Sydney. I want to ignore the controversy over any offensive personal views he may have and look at the specific criticisms he had of the current Literature strand of the national English Curriculum. One of his recommendations was for a “greater emphasis on dealing with and introducing literature from the Western literary canon, especially poetry” and this has been, unfortunately, accepted by the reviewers. So what is this literature from the western literary canon that has been so neglected in the current curriculum? According to Professor Spurr English Literature studies must now begin in Foundation Year (with six year olds). It should begin with Middle English lyrics, including Chaucer, and continue to the present, with acknowledgement and experience also of ancient texts from the classical world and of the Bible. This kind of prescriptive approach to text selection is the focus of the so-called culture wars has previously been focused only on secondary schooling. The flavoursome vocabulary of the simplest Medieval lyrics and the inventive conceptions of traditional fairy stories, myths and legends (often with strong ethical and psychological messages, as well, as in Aesop’s fables) as well as the nonsense verse of writers like Lewis Carroll and Edward Lear can be savoured by the youngest pupils. From the early years of schooling, classics of Australian children’s literature must be strongly represented: Ethel Turner’s Seven Little Australians, The Silver Brumby series by Elyne Mitchell and Norman Lindsay’s Magic Pudding, along with texts that have a similar standing in world literature in English, like Rudyard Kipling’s Jungle Book, Kenneth Grahame’s The Wind in the Willows and works by such as AA Milne and the brothers Grimm. There must be sustained teaching of the different kinds of poetry (for example), beginning in the early years with lyrical verse and emphasis on oral qualities of rhythm and rhyme, and poetry as a spoken form. Memorisation and recitation, developing pupils from reading poetry as text to assisting them to concentrate on the sounds and accents of poetry. Again just to remind you this is referring to the Prep years here – children of six years of age, who are being prepared for a future of technological innovation and a world of work that is at yet unimaginable. Some would argue that the focus on Professor Spurr’s response as a ‘subject specialist’ shifts our attention away from the Review’s final recommendations which I find unacceptable. I would argue however that his response provides us with an insight into the mindsets of the reviewers Donnelly and Wiltshire, who after all, chose him to be their font of wisdom on the topic of teaching English in primary and secondary years in Australia in 2014. In my opinion Professor Spurr seems to be lacking in some basic knowledge of schooling in those years. Educators today understand they are preparing students for a precarious and unknown future, where the jobs of the future are still in many ways unimaginable. In the 21st century Australia’s capacity to provide a high quality of life for all will depend on the ability to compete in the global economy on knowledge and innovation. This quote is from the Melbourne Declaration and it assumes that a curriculum will be developed for an education system where everyone agrees that the way forward for our nation is to think of the future. So how does an English curriculum help teachers prepare students for this exciting unknown, a future of unimagined possibilities? Many literacy and English educators, and those of us who prepare the future teachers of English and literacy, believe that an English curriculum needs to balance the traditions of the past with the texts of the present in order to help our students explain and prepare for an unknown future. While the current English curriculum is not perfect, there are a couple of groundbreaking and innovative features that seem to have become lost in the tired fights about phonics and skills and ideological warfare. One of these is the intertwining of three strands of content. So students from Foundation Year right through to Year 10 learn how to use the English Language at the word and sentence level, while at the same time they learn how to write and read whole texts and practice their Literacy skills, and also at the same time engage with the depth and breadth of quality Literature available to them in Australia in 2014. Yes it is complex and difficult work, and yes many teachers feel overburdened and confused about the decisions that have to be made to make this curriculum work. But does that mean we abandon it? Do we have to go back in time and pretend that the reality of the 21st century and the impact of global economic and social policies are not going to affect the children of our future? – the development of vernacular literacy practices in Papua New Guinea and other nations in the Pacific Island region; – the development of new rhizomatic methodologies in educational research. George Orwell wrote in 1984, “Doublethink means the power of holding two contradictory beliefs in one’s mind simultaneously, and accepting both of them.” We are in a remarkable policy moment in Australia, where the federal government is playing a strange, schizophrenic pantomime with Christopher Pyne perfectly cast in the role as education ‘reformer’. It wouldn’t be too fanciful to make comparisons between Orwell’s dystopic vision of a society where history and the present are continuously re-shaped for political expediency and our own current political environment. It seems that each new week brings another ideology-driven announcement that relies on a blind faith in the logic of the market, while simultaneously ignoring the large body of education research. The construction of this schizoid approach to education of course begins with the double backflip followed by a complete disappearing act on the Gonski school funding reforms. Despite going to the election on a unity ticket, the government has managed to not only reverse its commitment to an equitable school funding model but also to put pressure on the states to find the money themselves from 2017, as part of a broader divestment agenda. A particularly striking example of doublethink came out in May’s budget, where Pyne announced a deregulation agenda for the higher education sector. He claimed that by removing the cap on fees, it will make studying more affordable and accessible for disadvantaged students because market competition will drive fees down. Never mind that, alongside this, federal government funding of student fees will be reduced and the cost of taking out a loan substantially increased. It was unsurprising that Universities Australia and several individual universities responded with evidence to show that, in fact, students would be much worse off under the proposed changes. A further budget doublethink moment came from the government continuing to reduce investment in research through the ARC, NHMRC and CSIRO, while making grandiose claims about curing cancer from a new medical endowment fund that would be paid for by a $7 GP co-payment. Again, it was of little surprise when respondents pointed out that those who would be hardest hit were those already most disadvantaged in the community, while calling into question the veracity of the supposedly $20 billion medical endowment fund. As most fledgling governments do, there are a number of reviews underway. Of interest to educators are the review of the Australian Curriculum and the review of pre-service teacher education. In particular, the choice of Kevin Donnelly to lead the Australian Curriculum review puts a cloud of doubt over the whole exercise, turning it into a farce. Donnelly has long been a heavily vocal detractor of the curriculum and, as a conservative commentator, is most certainly not the un-biased reviewer that he claims to be. Further, the extraordinarily short timeframe for the review from call for submissions to providing the report to the government (less than 6 months), combined with Pyne’s claims that any changes would be ready for the start of the 2015 school year, make a mockery of the long, consultative and critically-engaged process undertaken in the development of the Australian Curriculum. The combined announcements of the appointment of John Fleming to the AITSL board and the expansion of the Cape York Direct Instruction program provide us with some indication of where Mr Pyne sees the future for education in Australia. The $22 million expansion of the Cape York Direct Instruction program to other Indigenous schools seems a complete mockery of the government’s commitment to closing the gap when held against the $534 million reduction in funding to Indigenous health and education programs. Many early years learning centres have no guarantee of continued funding beyond this year, yet a top-down, one-size-fits-all, interventionist approach to the teaching of reading English will be forced onto children across the country. There are multiple concerns with the Direct Instruction approach (see Alan Luke’s post from 7 July) which covers these), particularly in the long-term effects of the program. One worrying concern is that students who learn to read through DI might be very capable at decoding strategies such as ‘sounding out’ words but lack the contextual and semantic knowledge that would help them to understand what they are reading. One doesn’t need a crystal ball to predict where this is all going. Pyne is on the record claiming that he supports a back-to-the-basics approach to school. Direct Instruction is one part of that picture, where teachers stand out the front of the classroom and lecture students from a pre-scripted program. Students sit quietly in nice straight rows and comply with the instructions to perform reading and writing skill drilling. Never mind that this goes against research that has shown, time and again, that students learn best when they are highly engaged, deeply involved and in control of their own inquiries. Of course this approach to teaching fits in nicely with the Teach for Australia programme which has also had a $22million increase in its funding. The premise of this programme along with its counterparts in the USA and elsewhere is that teachers don’t require any pedagogical knowledge and that this lack of pedagogical knowledge and skills can be filled through supplying these teachers with pre-prepared packages of materials. The deep inherent contradictions in these moves by this government are summed up in the introduction to their Studentsfirst website where the first sentence about “teacher quality” is that “the first step to achieving a quality education, which is so critical for the future of young Australians and our nation, is to lift the quality, professionalisation and status of the teaching profession”. There is no evidence that this government has done anything to take this first step: indeed the doublethink illustrated here is that they have done everything they can do to undermine the status of the profession. The author would like to thank Dr Stewart Riddle for his thoughtful contributions to this blog post.